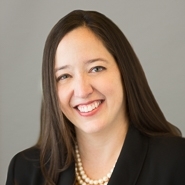 Partner Julianne M. Hartzell is a regular contributor to InsideCounsel, authoring a series of articles discussing current issues in patent law. Working with inventors and corporations in the fields of consumer products, medical devices, pharmaceuticals and Internet technology, Ms. Hartzell successfully handles all forms of intellectual property litigation, including patent, trademark, copyright and trade secret litigation. She also has experience enforcing covenants not-to-compete and confidentiality agreements. Ms. Hartzell earned her J.D. from The University of Michigan Law School in 2001 and obtained her B.S. in mechanical and biomedical engineering from Duke University in 1998. “IP: The late claimed invention and the written description defense,” InsideCounsel, December 17, 2013. “IP: Patent exhaustion clarification from the Federal Circuit,” InsideCounsel, November 19, 2013. “IP: Unintended consequences when licensing patented technology,” InsideCounsel, October 22, 2013. “IP: 2013 patent hot topics," InsideCounsel, July 16, 2013. “IP: Trademark trial and appeal board vs. district court litigation,” InsideCounsel, June 18, 2013. “IP: Did the Federal Circuit invalidate 320,799 software patents?,” InsideCounsel, May 21, 2013. “IP: Supreme Court applies first-sale doctrine internationally,” InsideCounsel, April 9, 2013. “IP: Avoiding the hidden dangers of the never-ending email string,” InsideCounsel, March 12, 2013. “IP: Federal Circuit weakens Internet patent troll model,” InsideCounsel, February 12, 2013.